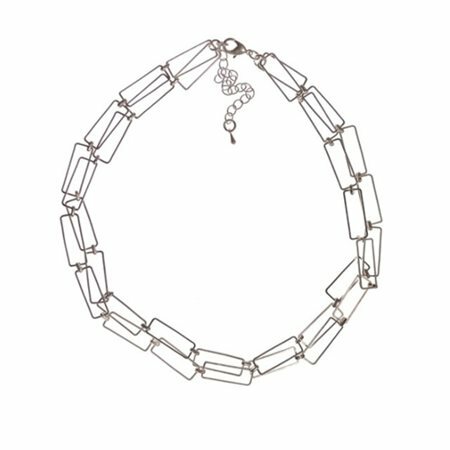 The geometrical look is right on trend for Spring/Summer 2018 so this pretty necklace by Hot Tomato will be a must have. The double chain closes with a strong clasp and extendable chain. Wear it with blouses and tops to bring your look right up to date.